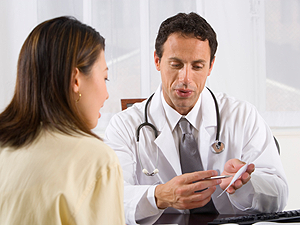 Patients of any doctor may seek the advice of a second physician of the same specialty. This occurs in other countries too; it isn’t just a Greek phenomenon. It is reasonable for a patient to be a little uncomfortable or anxious when faced with a decision about a surgical procedure or a long-term treatment. More and more people in many countries including Greece, search and look medical information up on the internet, when they suddenly have to deal with a new medical condition, either because they have an urge to learn more about their condition or because they cannot accept the situation as it has been presented to them or because something has not been satisfactorily explained to them. Therefore, they may seek another medical opinion. Of course, it is anyone’s inalienable right to try to find another doctor for a second, third etc opinion about their problem. It is understandable that there may be different therapeutic approaches to a single medical condition and a physician may choose one approach over another. However, it is the doctor’s duty to inform the patients fully and comprehensively about their health condition, the goals of the proposed treatment and any possible alternative treatments, so that the patients have a global picture of the factors and consequences of their condition and make an appropriate decision. Unfortunately, patients occasionally get confused when seeking a second opinion, particularly if they find out that they have obtained contradictory opinions on their health condition. The latter situation is unacceptable and arouses suspicion that someone does not offer good medical care. In Greece, there are considerable differences among doctors with regard to the quality of their medical education and training; this is why it is important that you find a doctor you know what level of training he/she has had and maintains, and whom you can trust. Training in medicine never ends. Novel ideas and treatments appear all the time – some of them will pass the test of time, some others will not. Continuing professional development is the responsibility of any doctor (GMC | professional development). Seeking the opinion of a second specialist is justified and patients should have no hesitation in telling their physician that they have already had or that they are considering having another doctor’s opinion. Visiting a second doctor for an opinion should not embarrass the first doctor, who can have an entirely clear conscience as long as he/she has acted in accordance with the principles of evidence-based medicine. The second doctor also has to substantiate his/her assessment, and should not approve of any defamatory comments about the first doctor, especially if these cannot be proven. Neither does he/she need to critisize the first doctor - he/she has not got a referee’s or judge’s role; moreover, negative critisism by a doctor about another doctor is against medical ethics. If a doctor has some evidence that a fellow doctor exploits patients or practices medicine illegally or defectivelly, he/she has the duty to refer that doctor to their professional legal body (e.g. national or local Medical Council), and this does not constitute a breach of the duty for solidarity among physicians (GMC | You must take prompt action if you think that patient safety, dignity or comfort is or may be seriously compromised). Evidently, for a second medical opinion, consultation and examination by a doctor is required, and it cannot be given over the telephone, by an email or via a website. The website does not substitute any doctor, but may simply support patients by giving them general information on a medical topic.